World’s Calmest Bride. Seriously. I actually met Amy ON her wedding day and wasn’t quite sure who she was when she came out to welcome me. Coordinator? Catering manager? She was so mellow! Eventually I asked where the bride was and was met with a confused look. Ha! Surely she was so relaxed because Ribbons & Rust was taking care of lots of her decor, right? 😉 I was happy to be in a such calm surroundings as I was running outside every few hours to breastfeed my baby in a moving truck. Stay classy R&R. Disclaimer: I did not leave my baby in the moving truck. My mom joined me to play babysitter and I figured the truck was a private place, ok?! 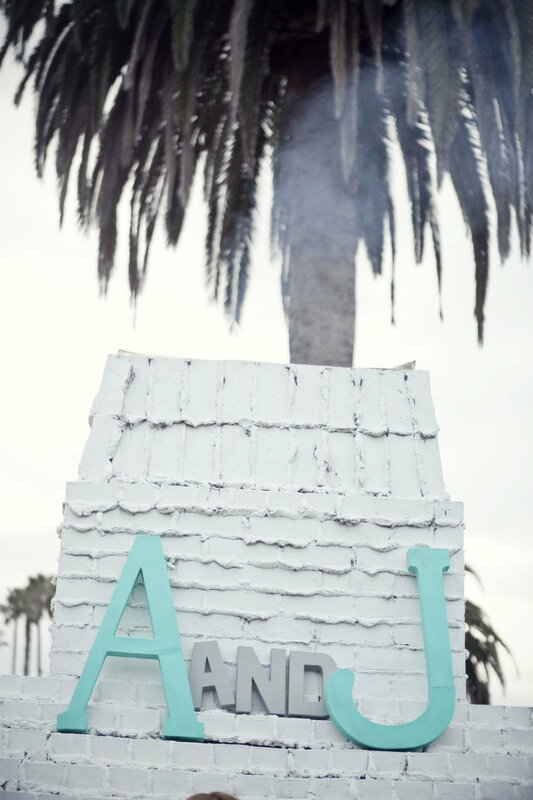 Anyway, Amy and Jake got married at the always cool Casino San Clemente. 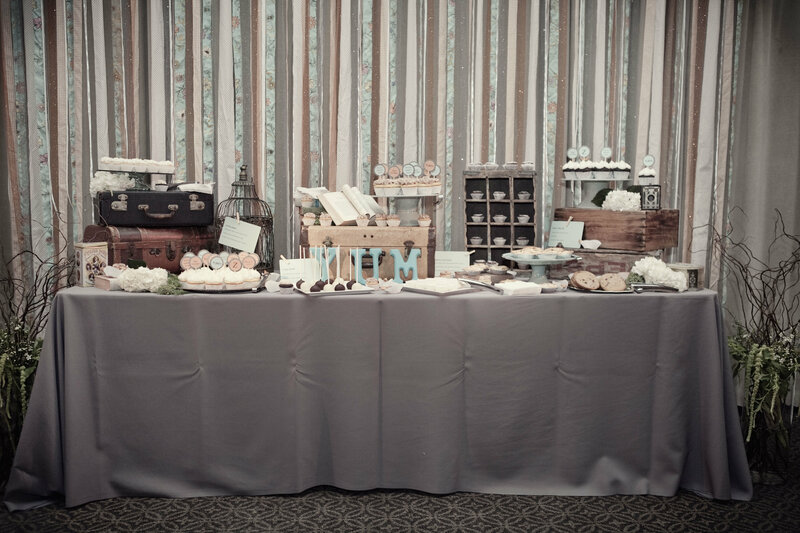 A muted color palette and a dessert bar to die for, this wedding was full of class and of course, lots and lots of love. 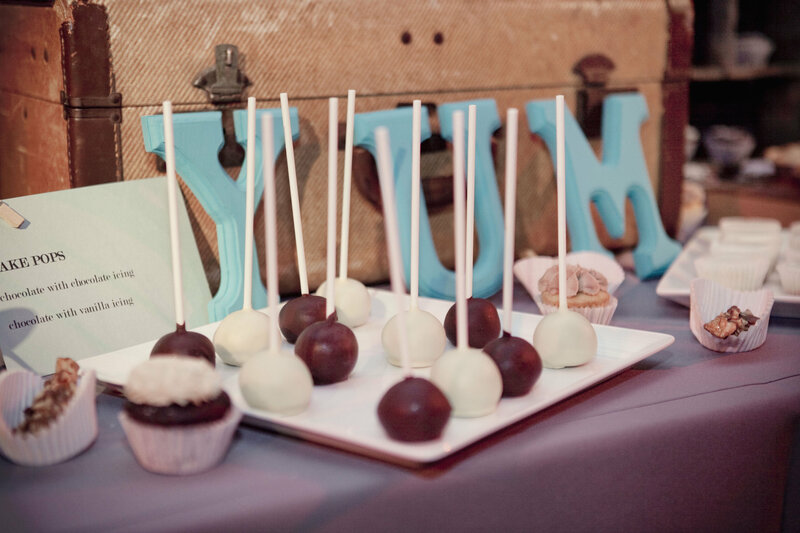 Check out these yummy goodies! Such a spread! I know, I know. It’s been awhile. I’d say sorry, but I’d kind of be lying. Truth be told, I chose new baby over blogging every time but she’s at a point now where she’s not all that new and seems to find her stuffed monkey far more interesting than me so here I am. I thought I’d update you on some of the stunners from this past Summer. This beauty was put together by Constance of Constance Curtis Events. I love the color palette and that view ain’t too shabby either. 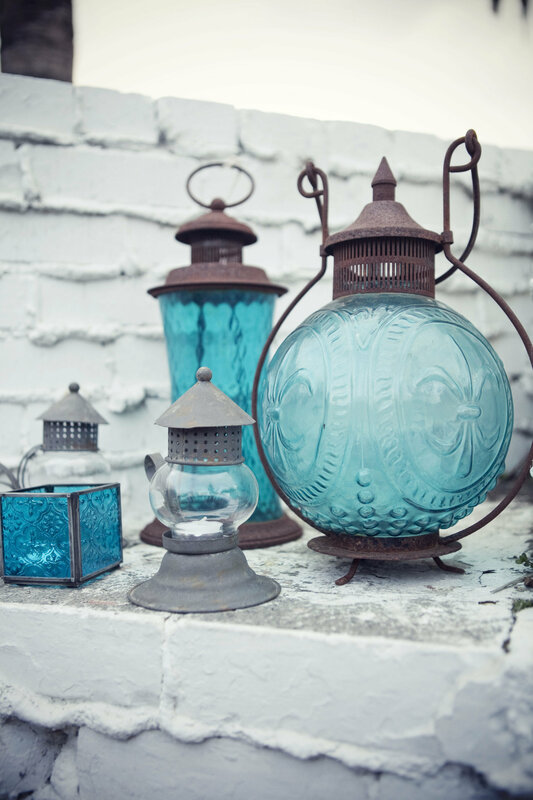 We dressed up our lovely blue hutch with lots of vintage details. 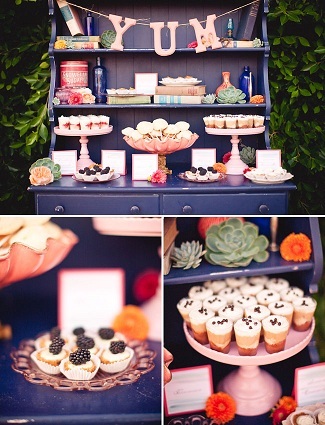 He got twice the love, first to display the guest’s seating assignments, and later as an awesome dessert bar. It’s like the Superman in the phone booth trick but way tastier and cuter! As if that view and those gorgeous get-in-my-belly sweets weren’t enough to make me want to crash this fete, there were sports! 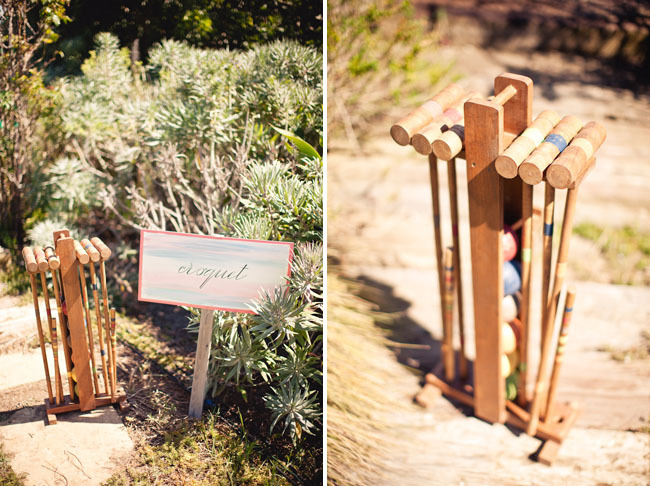 Wait…is croquet considered a sport? Either way, our cute set got some love. I would totally play more sports if I got to hold a cocktail at the same time. And thanks to Green Wedding Shoes for featuring this on their website! Take a look at it here! Maaneli & Matt happen to be really beautiful so these pictures are easy to look at. 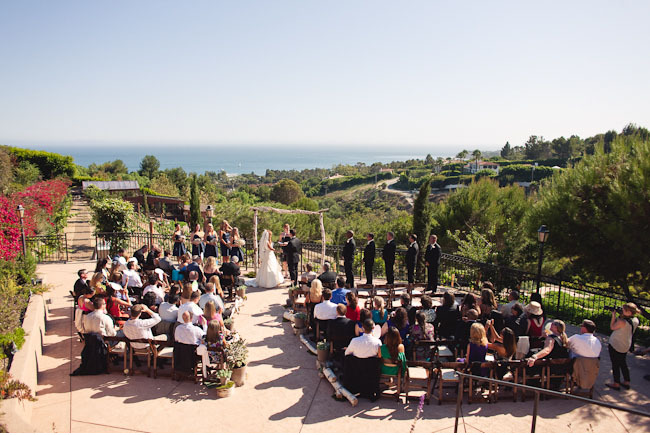 A gorgeous couple, a gorgeous venue, a GORGeous wedding! Maaneli’s style is over the top amazing (exhibit A – her unreal shoes! NEED!) so I expected the details of this wedding to be the same. She did not disappoint. I’m happy Ribbons & Rust could provide her with some decor for such an unbelievable day. 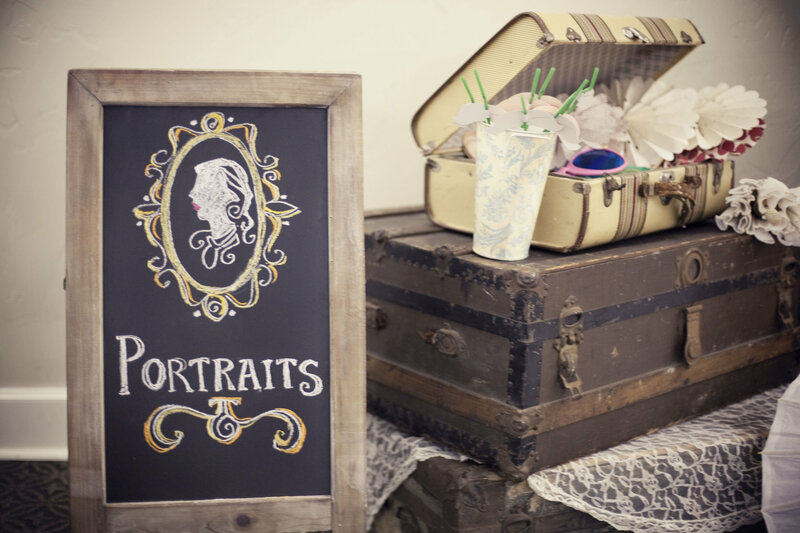 Take a peek at some awesome images courtesy of Brittany Rene Photography. Love her hair piece below! I love this last picture! They clearly bring out the fun in each other. Congratulations to Maaneli & Matt! 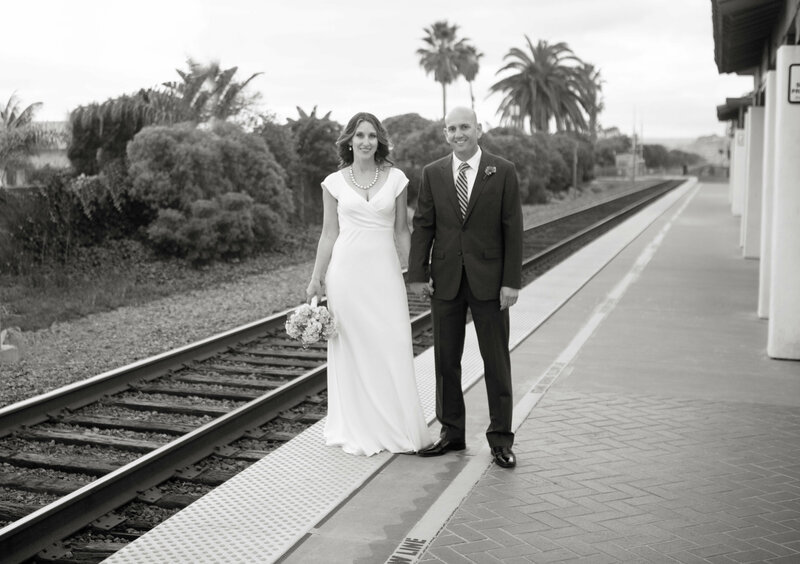 Today I bring you a super cute wedding from San Juan Capistrano. 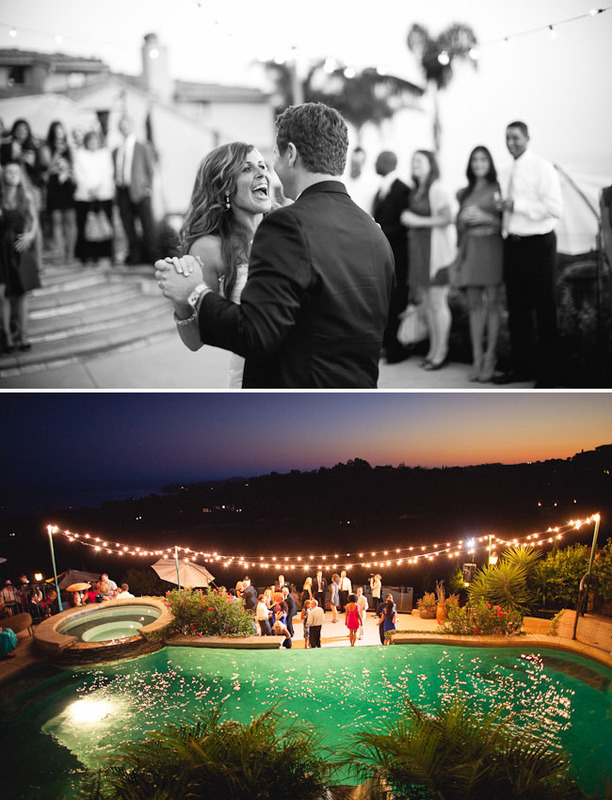 I love doing weddings at The Villa. It is timeless and cozy and there is something about setting up to the sound of mission bells ringing that I can totally get used to. 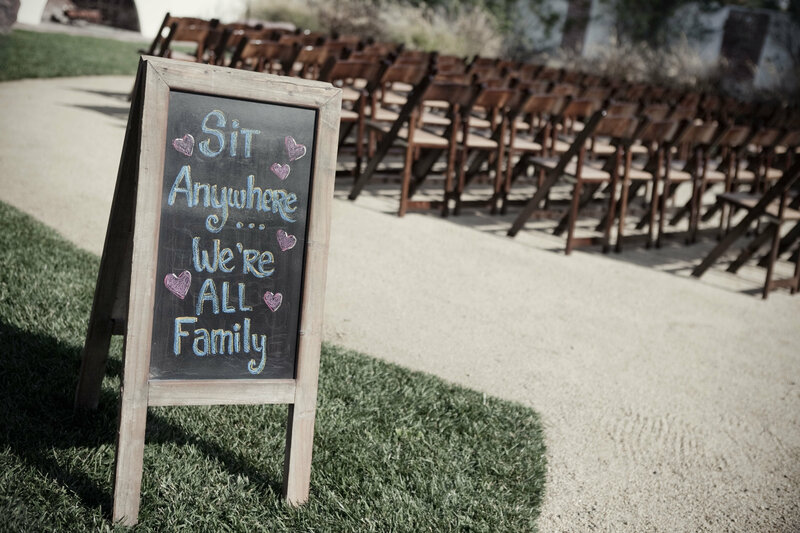 Julie & Tyler obviously loved it too because they chose to have their adorable wedding there. Ribbons & Rust got a lot of room to play here starting with some awesome centerpieces with the help of my favorite floral goddess, Stacey from Floral Occasions. All the amazing images are from the very talented Tyler Branch Photography. How cute are the table numbers? Julie and her mom made them from buttons that Julie’s late Great Aunt had collected. 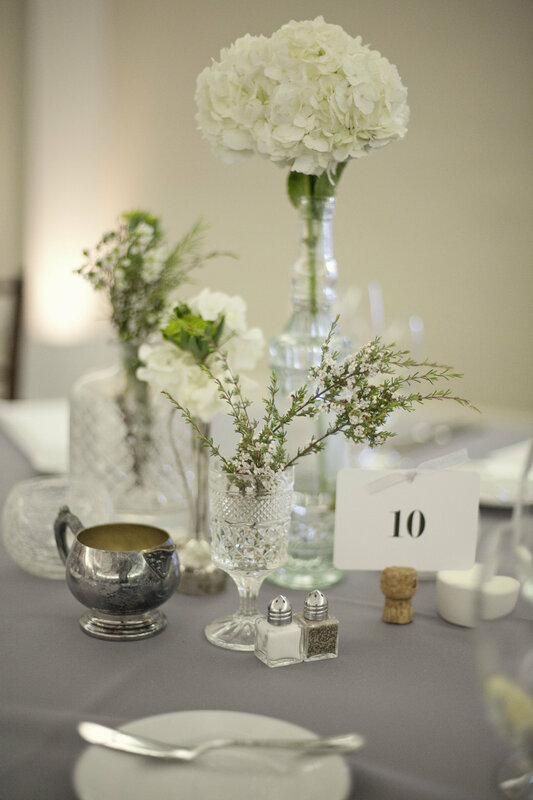 If you look closely we also incorporated some of her Great Aunt’s vintage lace into each centerpiece. Such a special way to honor her and add some extra gorgeousness. 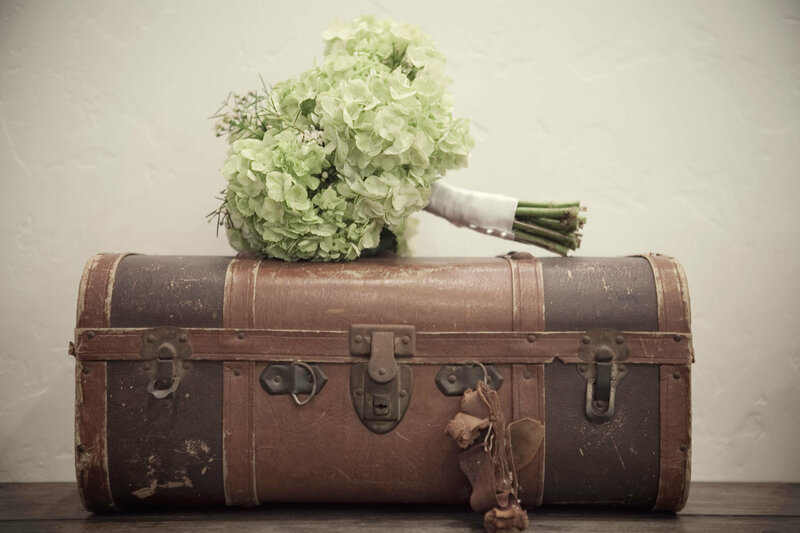 How cute are these bridesmaids bouquets? So sweet! And they look pretty darn amazing in R&R’s chippy crate. Julie & Tyler clearly have so much love for each other and it’s evident in their faces below. It’s always so nice being a part of a wedding with that great of a vibe. It’s looks like this that make me feel so grateful to have a part in someone’s most important day. And if that wasn’t enough to make you all gooey inside check out this crazy good video by Paperback Weddings. Grab a kleenex…you’ve been warned. A great big congratulations to Julie & Tyler, and a great big thank you to 100LayerCake for featuring this wedding on their blog! For more photos of the day check out Tyler Branch’s blog post here. 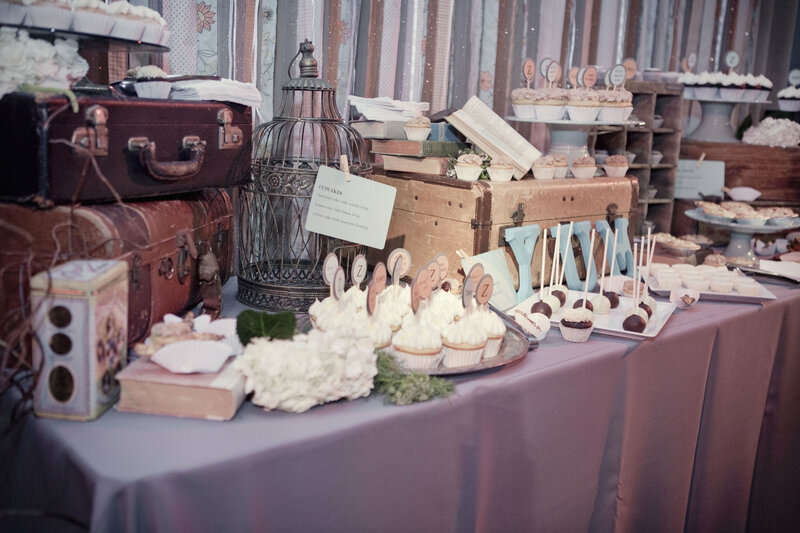 Being pregnant, I totally appreciate a good collection of desserts so when Constance Curtis from Constance Curtis Events contacted me about her idea of a hanging dessert bar I was giddy with excitement. She gathered up a pretty epic collection of vendors for the day too. Here are some photos from the day by the oh so talented Dave Richards Photography. 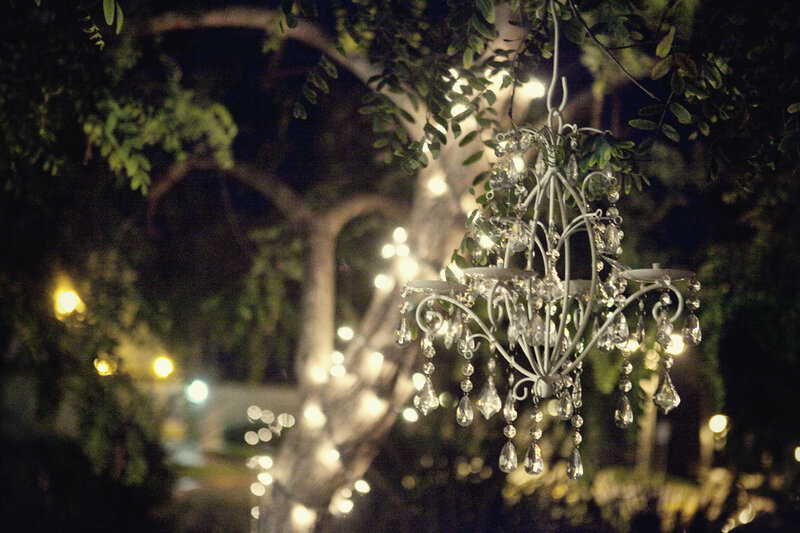 The desserts were hung from one of R&R’s ladders and framed with chandeliers and old chippy frames. R&R provided a chippy white table and mismatched chairs for a super romantic table setting. I, for one, would be happy to sit at this peaceful setting and dig into every one of those treats and not share…not even a little bit. Can we discuss this cute cake? Love. 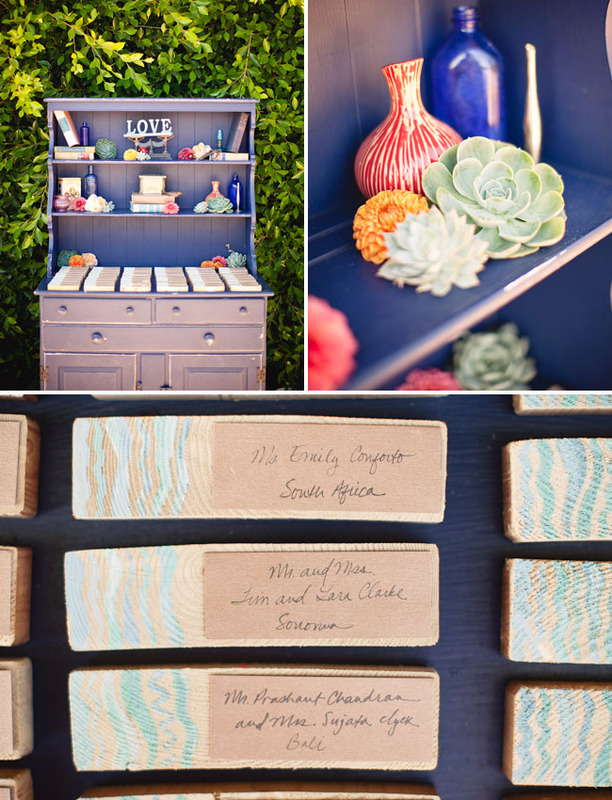 A big thanks to 100 Layer Cake for featuring this on their blog! Thanks also to the awesome group of vendors involved! 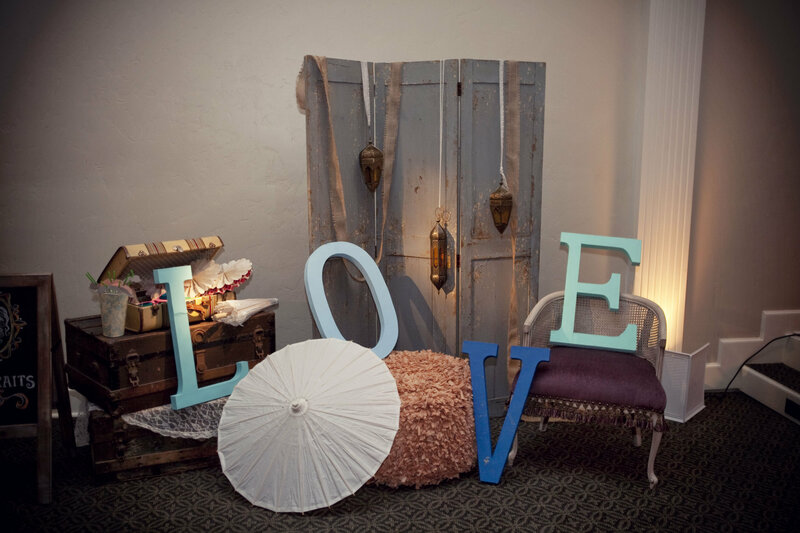 They brought the cutest props to go with their love theme. From heart confetti to these awesome heart glasses. I love these shots! Check out the lighting in the one below! Michelle & Ryan clearly have so much love for each other! I love this quote she gave…”Our personalities complement each other in the best way possible. It’s made for the best foundation we could ask for. We seriously have permanent crushes on each other. It’s nice having that feeling all the time! Everything from the sports we play, to the shows we watch. He always helps me finish my food & I always help him finish his dessert..” Hello Goosebumps. This next set up was Ribbons & Rust’s contribution to the shoot. This swing was so much fun to make! I can’t take all the credit. I had help from a lovely man at Home Depot. When I was getting the wood cut for the swing I made him stand next to me as if we were sitting on the swing. I kept saying “Fred! Remember…we just got engaged! We’re in love! Get closer! How am I supposed to measure our butts if you keep sliding away? !” Poor Fred was sweating with discomfort and I was grinning with pride at making a seasoned lumber veteran blush. I think Fred would agree it was worth it. I love how it turned out. And how fun is this heart confetti?! Loved this sweet couple. So effortlessly in love! Thanks to Michelle & Ryan and Brandon & Kristin Kidd for including me in this awesome shoot! To see more images check out the post on Brandon’s blog here. 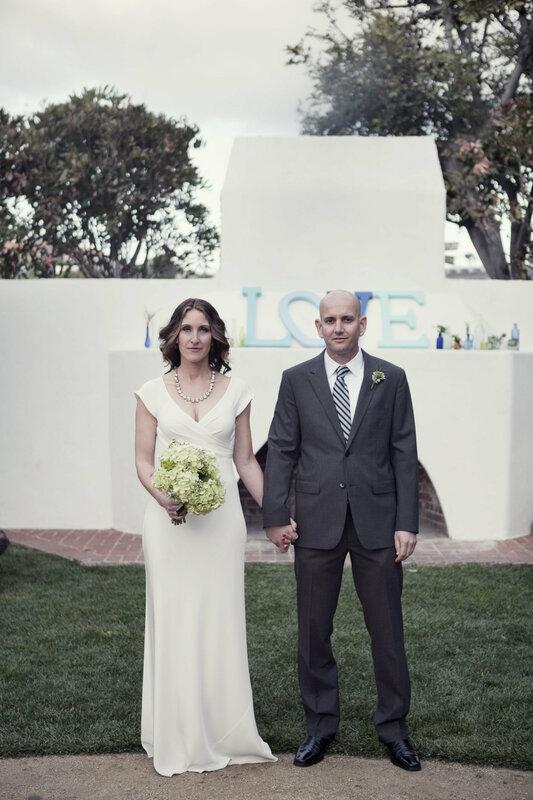 This shoot was also featured here on Green Wedding Shoes!